Trimmer Vs Shaver - Which Is A Better Option? Trimmer Vs Shaver – Which Is A Better Option? Having some confusion about which ones to buy, a trimmer or a shaver? Here we are to sort some queries for you. Trimmers and Shavers are both in the market these days and both of them are equally popular among men. The prices, however, may vary to some extent depending on the brands but the quest of trimmer vs shaver persists even to this day. Which is better Shaver or a Trimmer? Firstly we need to address the question as to which is better an Electric Shaver or a Trimmer. The question is very tricky but the solution can be found to some extent, though the final call still remains in your hand. Now to judge the competition of the trimmer vs electric shaver we will first need to know what these two things are individually. A trimmer is basically a device that cuts your beard and trims the hair. Just like in any salon or parlor your barber shapes your hair. These trimmers are gaining popularity these days because they can be used conveniently to give any kinds of special shapes to the beards. You can trim your beard however you want and make it match with your daily looks and attires. Basically, a trimmer will help you to have a personalized touch to your look. Whereas a Shaver is mostly like a plain razor blade that you can use to shave off your beard or mustache or certain parts of it or shape it up as per your wish. There is hardly any chance of trimming it down. You can only clean it up mostly. These are the basic shaver and trimmer differences, now that you know what these two devices do individually aren’t it still a question as to which is better? Yes, this is because not everyone’s requirements are similar. Both the trimmer as well has the shaver has their shares of pros and cons. All these points and some other together make it possible for us to take a call in the beard trimmer vs electric shaver debate. As different people and different priorities the choice may vary from person to person. 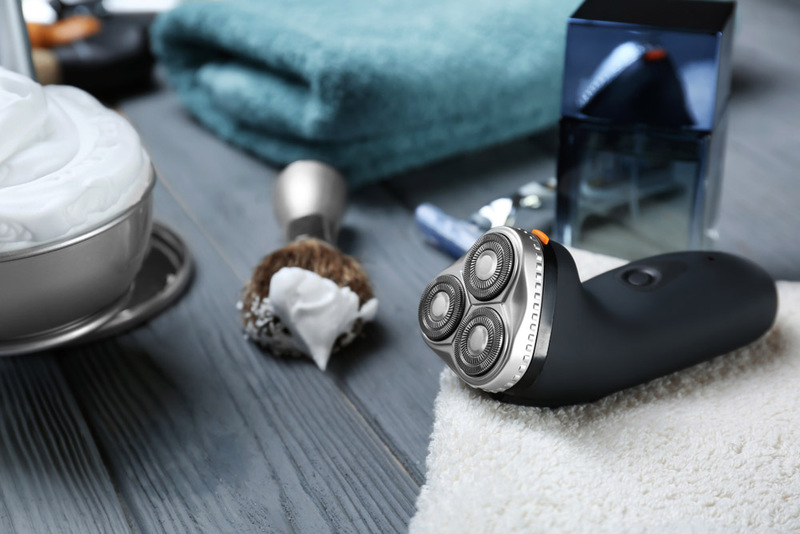 By the way, if you really want to check the best electric shavers, This Buyer Guide of Best Electric Shavers lays it all for you! Check it out. There is no chance of the blades to cut into your skin and cause injury. To get a clean shave it takes quite some time with this trimmer. Your beard needs to be of a certain length to be able to shape properly. Getting smooth shaves are a matter of minutes with these electric shavers. No matter how long the beard is you can shave it smoothly. You cannot shape your beard innovatively, either you need to keep it or shave it. Electric Shavers generally require a change of blades after a certain time. 1. Firstly you need to decide as to what you are buying the device for. If you are buying it for a general shave then a razor or even an electric one might be just enough for your purpose. But in case you want to play around and style your beard innovatively then a trimmer might be a great option. 2. Secondly, you need to decide on how close a shave you want. If you want clean shaves then make sure you have 3 blades in your shaver. This is sure to give you a smooth shave whatsoever. 3. In the case of shavers, lubricating strips are a must. It ensures that the skin isn’t damaged at all while you shave off your stubble. So make sure your shaver has one of them. 4. Disposable blades are important. When you are buying some shavers make sure the spare blades are available easily and the changing of the blades is also possible. Simply buying a shaver and not looking into its future use is not advisable. 5. Powered or manual shavers are another big question. You need to take the call for this yourself based on your requirement. 6. Cleaning is a factor when you are considering which is better shaver or trimmer? Both the shaver and the trimmer should be easy enough to clean. Otherwise unhygienic conditions might cause trouble and infections in the future. 7. Brand consciousness is essential. It is recommended that you opt for the different brands that are well known in the market. They sell a quality product. 8. The ease of use, whatever be it, a shaver or a trimmer is important. Make sure you look into that as well. 9. Your budget is a deciding factor. 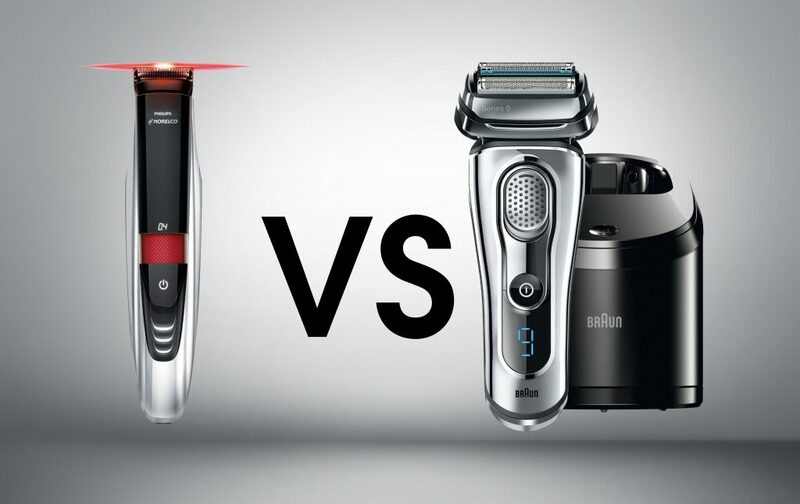 Based on how much you can spend, you can also make a choice between beard trimmer vs shaver. 10. The kind of shave you want will also help you decide the kind or trimmer or shaver you should be buying. All these and many other factors are taken together will help you decide as to if you should be using a trimmer or an electric shaver. Each of the two has its own benefits and it is almost impossible to settle for one as the best. It basically is up to you to decide which will meet your requirements best. So go ahead and buy the trimmer or the electric shaver you need. If you have to spend the just $39 get Philips Norelco Beard Trimmer 5100 its the best $39 you’ll ever spend on your grooming and if you had 1 beard trimmer to buy, it would be this one in my opinion. A Beard trimmer will be more suitable for you. I already have a trimmer, which I use to trim my head and beard. But, I think I should buy a shaver for my head. I want something to shave cleanly my beard & head as well, maybe once a week. What would I buy? Go for an electric shaver.